We. Love. Half-tracks. And based on the historical page visits on this website, so do you. 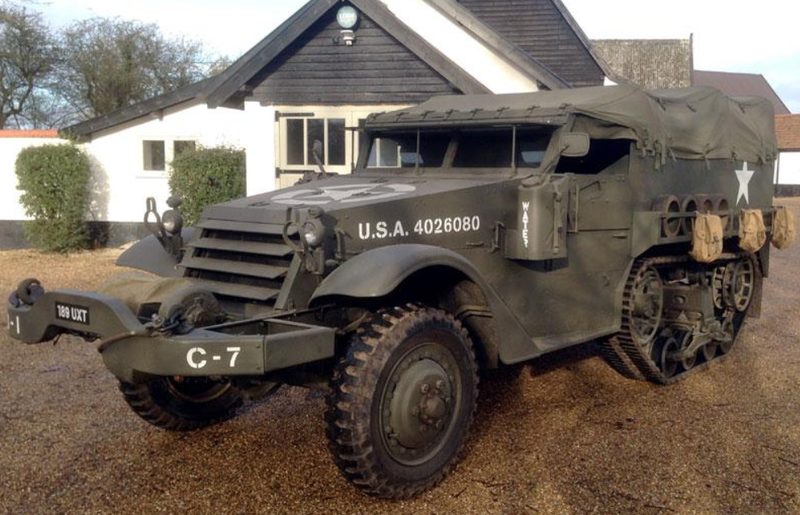 This is an M3, produced by White, and it was developed from the M2 Half Track, which was based in principle on the Citroen Kegresse. M3s were built by White, Autocar, and Diamond T between 1940 and 1945. It’s powered by a 3.7-liter straight-six making 147 horsepower. 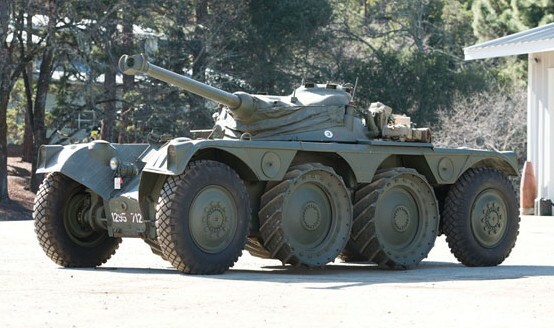 Even with the tracks, these were capable of 45 mph on the road and were very popular among the Allied forces. About 41,000 of these were built between the three different manufacturers. 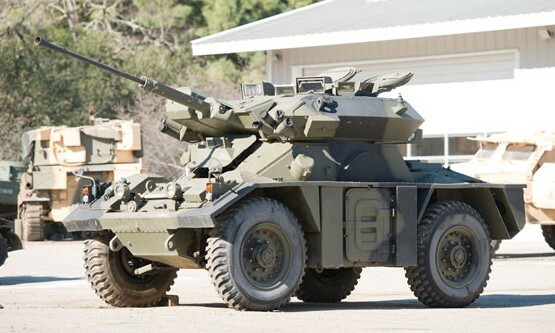 It’s very similar to the M5 half-track built by International Harvester, which was built because the three manufacturers of the M3 couldn’t keep pace with demand. This one has been decently restored and should bring between $55,000-$83,500. Click here for more info and here for more from this sale. 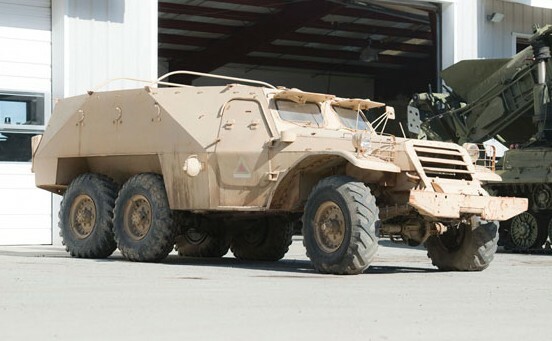 It’s weird how war can create the need for vehicles that previously did not exist. Take this, the Kettenkrad – or, technically, the SdKfz 2. 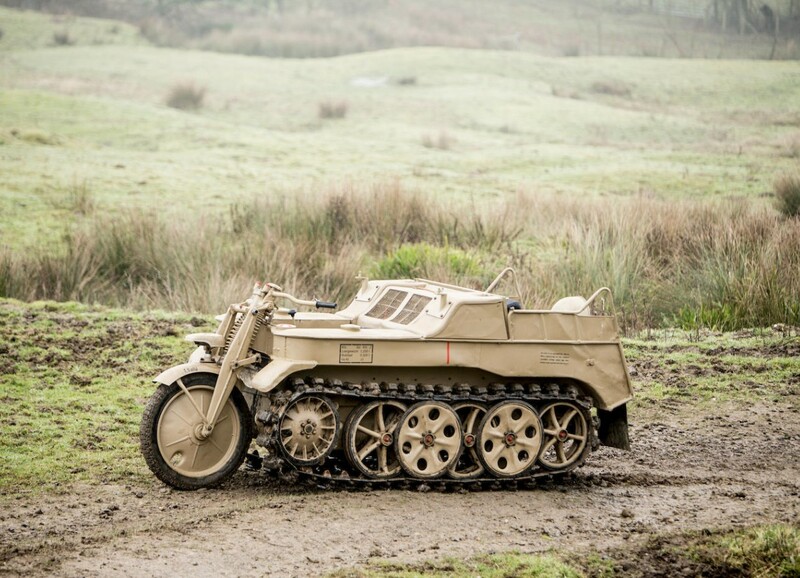 “Kettenkrad” is basically German slang for “tracked motorcycle.” This vehicle – it’s not technically a tank, and not technically a motorcycle, nor technically a tricycle (it has the right layout but more wheels than most trucks) – was designed and manufactured by NSU in Germany. Produced between 1939 and 1948, the Kettenkrad was designed to be used by the German airborne, as it could fit in the cargo compartment of a Junkers Ju 52 – but it couldn’t be dropped via parachute. It’s powered by the 1.5-liter, 36 horsepower straight-four from an Opel Olympia. 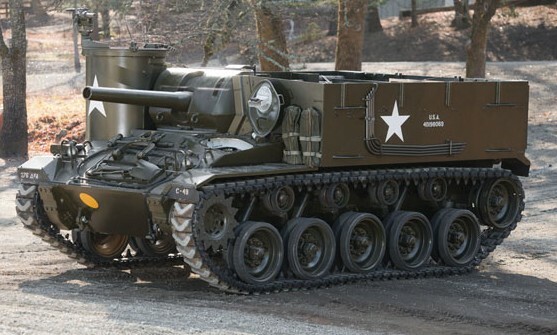 Top speed was 44 mph – making it the fastest tracked vehicle of WWII. This has known ownership history back to 2011 (yep) and it’s been completely restored. Kettenkrads are a staple of every WWII movie set in Europe. By the time wartime production stopped in 1944, 8,345 of these had been built. Production resumed after the war as these were popular on farms. About 550 more were built through 1948. 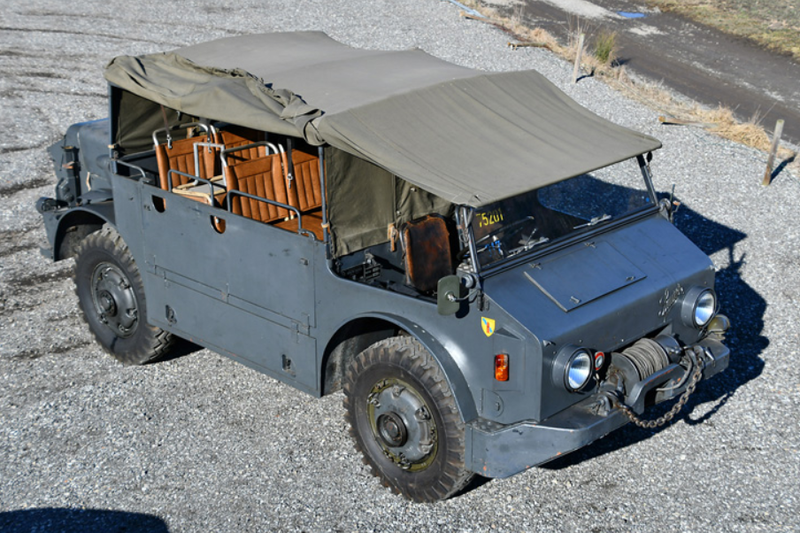 This immaculate wartime example should bring between $75,000-$100,000. Click here for more info and here for more from this sale. This is not your father’s Chrysler. Or, if he’s a World War II veteran, maybe it is. 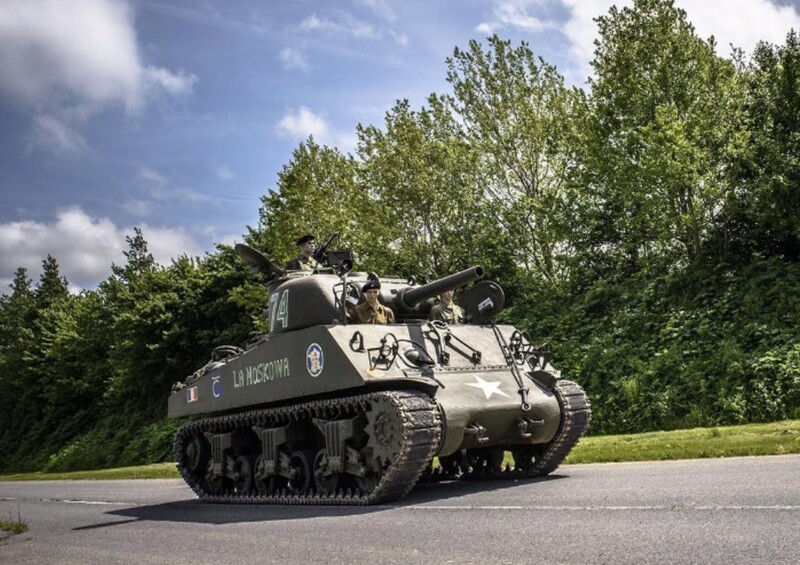 The Medium Tank, M4 (aka the M4 Sherman) was the most popular American tank of WWII (and thereafter). They were in service from 1942 through 1955 and some countries used them until 1990. 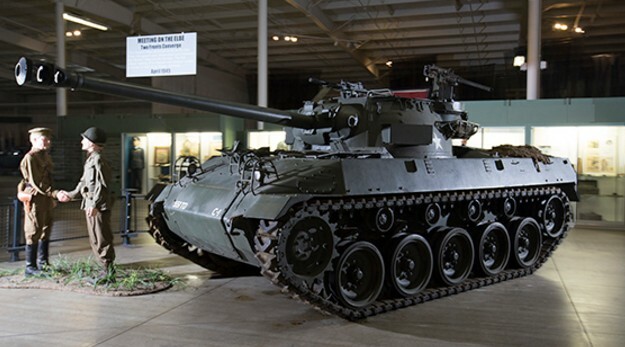 There were 16 variants of this tank, with this being an M4(105) which was built between February 1944 and March 1945. Only 800 were built, making it one of the rarer variants. 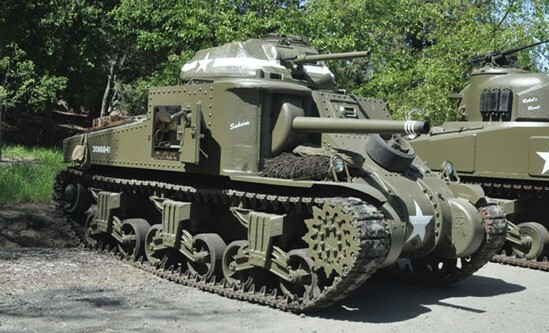 Nearly 50,000 Shermans were built of all types. This historical monster is powered by a 16-liter, 9-cylinder radial engine built by Continental. 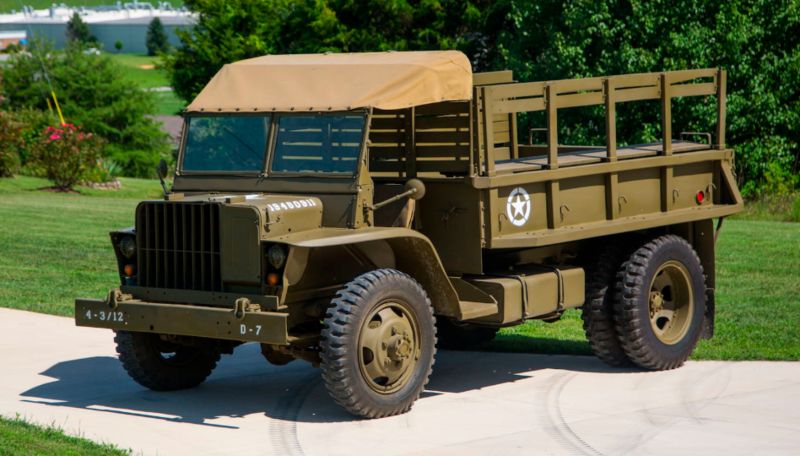 Horsepower is in the 300-450 range and this fully restored example is described as “quite pleasing to use and drive.” This is a great piece of WWII and American history and one that doesn’t come up for sale often. It’s incredibly cool and should sell for between $225,000-$450,000. Click here for more info and here for more from this sale.